Meet Author and Professor of Economics at George Mason University Bryan Caplan. 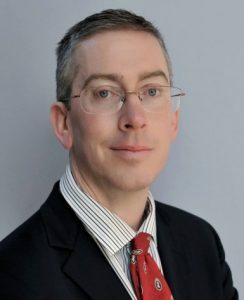 His recent book The Case against Education: Why the Education System Is a Waste of Time and Money has initiated a lot of controversial discussion. At the OEB Opening Plenary he will provide more stimulating food for thought. 1. Who, or what, was your most important teacher? Mrs. Ragus, my 11th-grade English teacher. She heavily promoted the “Hemingway method” of writing – deleting every word that doesn’t change your meaning. I use it daily. 2. What were your best/worst subjects in school? 3. If you could try out any job for a day, what would you like to try? 4. Which technology, in your view, had the biggest influence on the way we learn now? 5. What is the coolest gadget / technology / tool you have seen lately? Uber. It keeps getting better. 6. What current learning trend do you think will have a lasting impact? Homeschooling. It’s huge in the U.S., and there is pent-up demand all over the world. 7. Who would you recommend in the Learning World to follow on twitter right now? @ptetlock, (*Superforecasting*) the psychologist who truly teaches us how to think, and my genius colleague @robinhanson. 8. What would be the title of your autobiography? 9. What was your first thought about OEB 2018’s overall theme: Learning to Love Learning? 10. What do you hope to take away from OEB? Exciting ideas, enthusiastic peers, and hope. Bryan Caplan will be speaking in OEB’s Opening Plenary on Thursday, December 6, 2018.